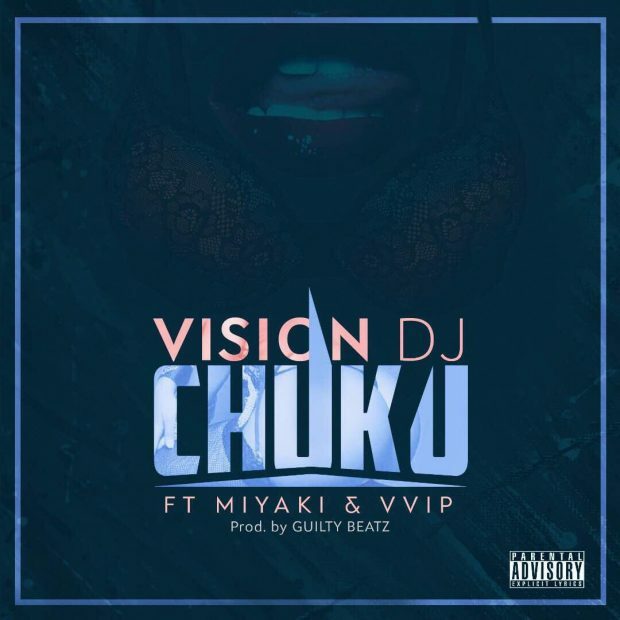 Award winning radio DJ, Vision DJ returns once again with this brand new mid-tempo banger dubbed CHUKU. It’s features the legendary music trio VVIP and the newly signed act on the VVIP label Miyaki. The song was produced by Guilty Beatz.